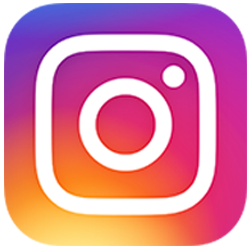 The Mood Disorders Association of Ontario offers free peer support and recovery programs to people living with depression, anxiety and bipolar disorder. We also offer support for family members. Check out our free programs across Ontario listed in our online calendar below. Off to the left, you’ll see a monthly calendar. To get a weekly, monthly view or annual view of programs in your region, just click on the calendar. See a list of our support programs by city. A support group for those who experience anxiety or discomfort around other people, whether in large gatherings, small groups, or one-on-one. Every Sunday 3:00-4:30 pm, 519 Church Street, Room 201. There are no meetings in August 2018. Meetings resume Sunday September 2nd. A drop in peer support group for people with Depression, Bipolar and Anxiety. 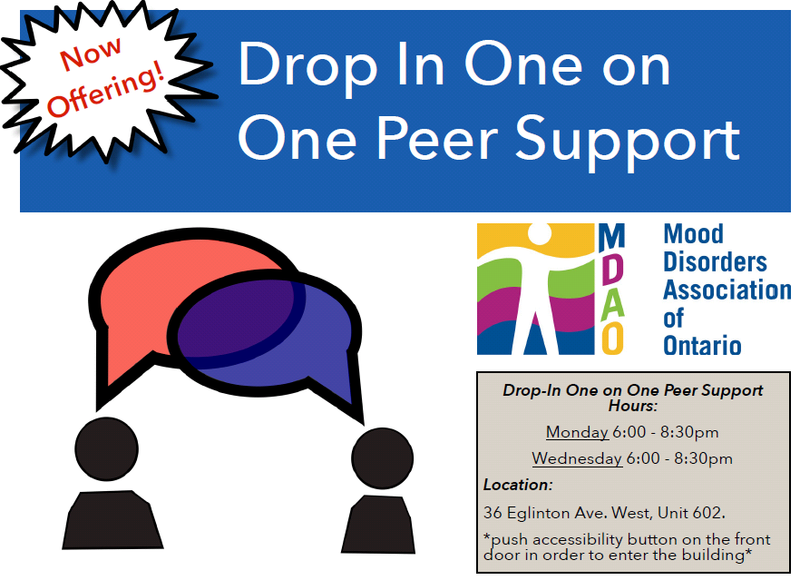 In support of the One on One Peer Support program, we would like to introduce a new drop-in peer support program open to participants to be able to access one on one peer support sessions on a ‘drop in’ basis. This program is being created as a means of contributing towards MDAO’s vision of helping individuals and families affected by mood disorders recover and heal. A group for women who are living with depression, bipolar disorder, anxiety, post-partum depression or hormone related mood disorders. This is a group for men living with depression, anxiety or bipolar disorder. This group runs on the second and 4th Monday evening from 7:00 to 8:30 pm. Please use the access entrance, to enter the building after 4pm. Pressing the button will unlock the door. Do you have Bipolar Disorders, Anxiety Disorders or Depressive Disorders and desire the opportunity to meet others in the same situation? This is a support group for youth and young adults aged 16 - 30 affected by a mood disorder. Self-help and support group offering education and discussions for people dealing with depression, bi-polar, and anxiety disorders.This group works towards reducing stigma within the group as well as in the community.. This is a group for individuals dealing with a mood disorder such as depression, bipolar disorder and related anxiety disorders, PTSD etc. For more information, email frc@amhs-kfla.ca or call 613-5443886.